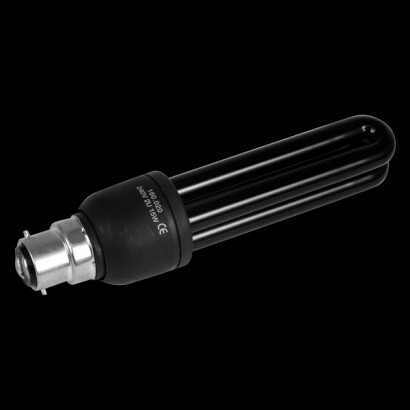 Simplicity itself, this black light bulb sits neatly into pretty much any bayonet style light fitting in lamps or light fixtures and gives off a constant stream of UV light, which is perfect for super-charging glow in the dark products and highlighting anything with fluorescent colours. This bulb is actually a fluorescent tube formed into the shape of a light bulb, much like modern 'Energy Saving' light bulbs. 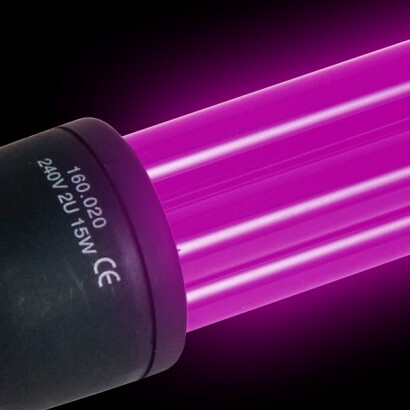 In fact, the black light bulb only uses 11 watts itself and will last for years and years. Ideal for people wanting to play with black light without having to change batteries or mount any new light-fixtures to the wall. 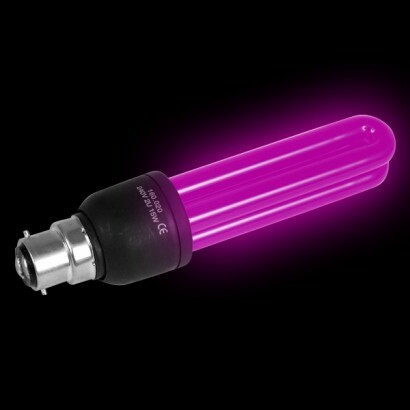 Just replace a standard light bulb with this one and enjoy hours of UV fun. They don't put out huge amounts of UV light (compared to a 4ft tube for example, understandably), so you would need a few to UV light an average room effectively. Their plus side is they're very convenient and easy to store unlike bigger UV sources. Bought this to super charge glow in the dark painted ceiling and walls for little ones room. Securly posted with quick delivery. Will buy again.